Look no more for trend meets the everyday! Our Lisbon collection provides you with unique patterns in trendy yet calming colors. These multi-dyed wool hooked rugs have that casual bohemian and global feel to them. Hand hooked in India, Lisbon rugs have a 1/2" pile height. 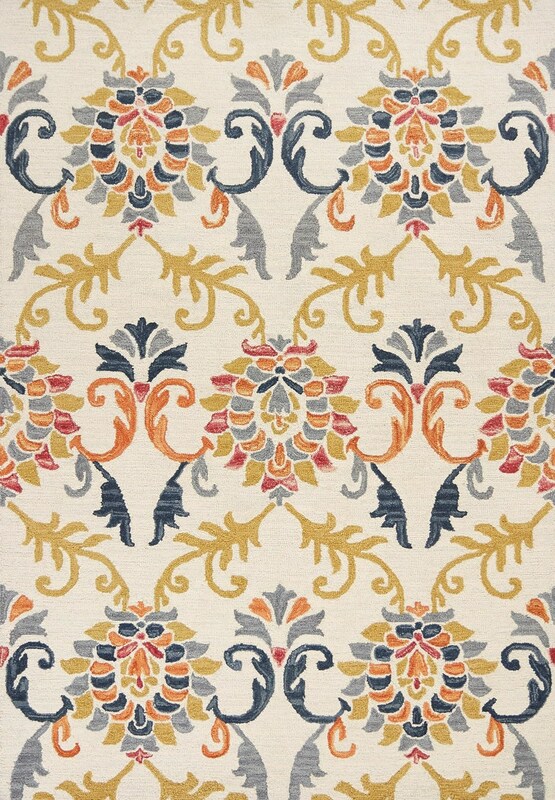 The Lisbon 5'3" X 3'3" Ivory Serafina Area Rug by Kas at HomeWorld Furniture in the Hawaii, Oahu, Hilo, Kona, Maui area. Product availability may vary. Contact us for the most current availability on this product. Browse other items in the Lisbon collection from HomeWorld Furniture in the Hawaii, Oahu, Hilo, Kona, Maui area.